"Given the strength of the contest, it’s asking quite a big question of Arbalet, but then again, where else can you go with a 106-rated animal who is best at this trip?" The City of York Stakes is an extremely strong event for the grade; it used to be a listed race, but the York executive campaigned hard to get it upgraded, and by not having penalties for listed winners, they improved the quality of the fields, and got it upgraded, and they have also have ploughed a lot of money into the race in order to attract the best seven-furlong horses in training, with the long-term aim of making this the first all-aged Group 1 event over the trip in Britain, something Goodwood (Lennox Stakes) and Newbury (Hungerford Stakes) are also keen to achieve, although having all those races with just a few short weeks of each other perhaps doesn't help the cause. Given the strength of the contest, it's asking quite a big question of Arbalet, but then again, where else can you go with a 106-rated animal who is best at this trip? Arbalet ran a monster of a race as a three-year-old against older horses when second to Burnt Sugar in the International Stakes at Ascot over this trip, and was just run out of it late. He also ran a very good fifth to Expert Eye in the Jersey after missing the break and getting squeezed at two points. He was beaten six lengths in the end there, and meets Expert Eye on 3lb better terms, so he's got over four lengths to make up on that basis, but I believe if he'd got away on terms in the Jersey, he would have finished much closer, and that's what we will be hoping for here. He's a very big horse, and has some issues with claustrophobia in the stalls, and he has had two stalls tests in his life, which means he now has permission to go in last if we wanted to every time he runs. We probably won't have him loaded last, however, as he likes to have a little rear after he's gone in, so we'd prefer him to go second or third last so he can do that and then set himself for the start. The worry about going in last of all is that there is a good chance he will rear just as the starter presses the button, and miss the break. We felt we got it right in the International, and hopefully that will work again. There are few jockeys riding as well as, let alone better than, Silvestre de Sousa, and I think his forward-going style of riding will suit our horse if he can get away on terms. We do have 13lb to find with Expert Eye, and varying amounts to find with all the older horses, but I don't think that is insurmountable, and we go there hoping for the best. When Gifted Master won this listed race last year, he was rated 109 by the handicapper, and was meeting ten rivals rated the same or lower than him. He's now rated 116, which suggests he's got a much easier task, and I was rather hoping that would be the case, but this year he meets three rivals rated higher than any of the runners from last year's renewal, and it's definitely a stronger race than it was on paper 12 months ago. He's still the highest rated runner in the race having gone up 4lb for his Stewards' Cup win, and he goes unpenalised, but this clearly won't be a stroll for him. 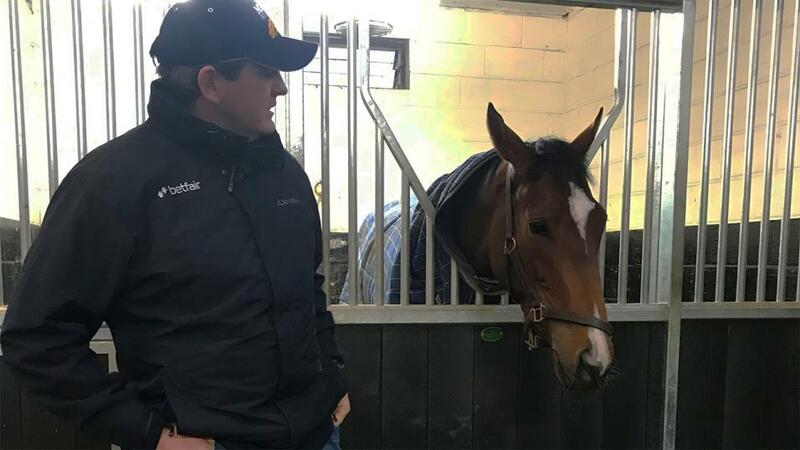 Limato would be a big threat on his best form, but he does like to hear his hooves rattle; we had quite a lot of rain here on Friday morning, which wouldn't be ideal for him, and he is on something of a recovery mission. Dreamfield is a horse I like a lot, and he ran a very good sixth in the July Cup, so needs respect, although the handicapper doesn't consider that he's achieved as much as Gifted Master. He has made the running in the past, but not at this sort of level, and he's drawn away from us, so I'm hoping that they won't cut each others' throats. It's a shame that James Doyle must ride for his retainer rather than renew his association with Gifted Master, as they get on so well, but that's life. Projection is another one I wouldn't take lightly after his second in the Hackwood Stakes at Newbury, and he was ahead of Gifted Master when they met in a listed race at Windsor earlier in the season. In short, it will clearly take a better effort to succeed than it did last year, but I hope he can win again. Betfair's 'minimum bet guarantee' on all Class 1 and 2 races in the UK and Ireland - which means all customers are able to bet to win a minimum of £500 - has been extended to cover all races at selected meetings this week, including York. T&Cs apply.